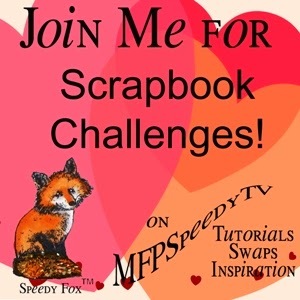 Happy Scrapbook Challenge day! This week over at MFP Speedy TV our challenge is to make an Autumn themed layout. Additionally, it's sneak peek week, so make sure to visit all the blogs of the artists on our DT to see more examples of the awesome new stamps coming out! I showed one on yesterday's post, and now it's time for a new one today! 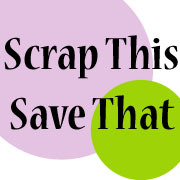 Remember this challenge is strictly scrapbook layouts, no cards please. You have to use stamps on your pages. They don't have to be Marks Finest Papers, a Heinrich Co stamps but if you do use them you will be entered twice for a chance to win. Back in the Fall of 2007 our kids snuck away one day and went to have professional pictures taken, so that they could frame them and give them to us for an awesome Christmas present. The photos came out gorgeous, so I printed extras to scrap. Aaaaand 6 years later, I'm finally getting around to it! I double-matted the photos and then just basically added a few Fall-colored papers and called it good. I used the new stamp set from Mark's Finest Paper's called Fall Apples. 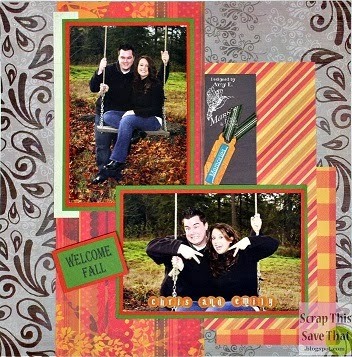 This is the same set I used for the Autumn.Halloween Blog hop last week. I just love it! 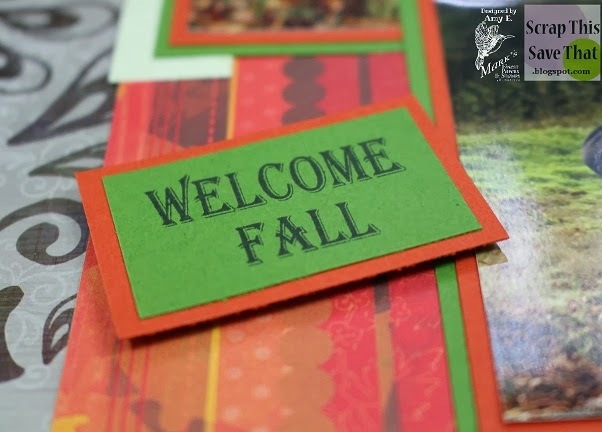 The Welcome Fall sentiment is from it. It's actually two separate words in the set, but the fonts match, so they look like they were made for each other! I hope you'll consider joining us for the challenge this week. 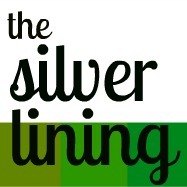 You have until next Wednesday at 8 pm EST to link up! See you there!